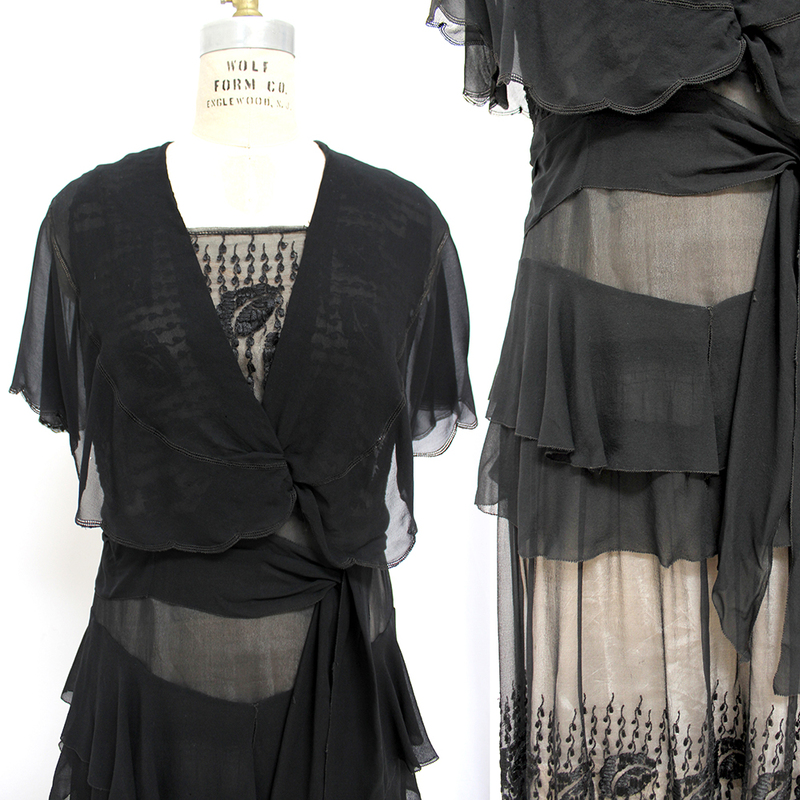 Today I’m sharing probably one of the most beautiful early 1930s dresses I’ve ever had in person. This little beauty is now for sale on Etsy and leaving my collection, but I could not resist the opportunity to share with you just why I think she’s so special. I hope this video and images gives you some inspiration for your own dressmaking endeavors! 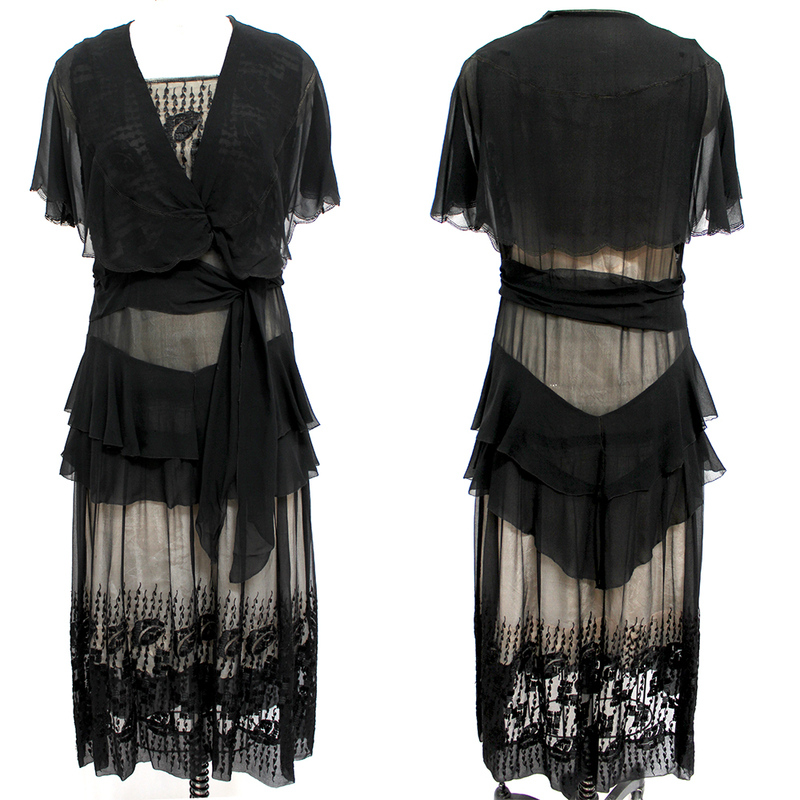 This dress dates pretty much right on 1930. She retains some 1920s styling, but things are definitely moving into the 1930s with the longer length of the skirt and the waist having returned to the natural level. The capelet and the dropped hip detailing of circular ruffles are so iconic of this change between the two decades. The skirt and the bodice both use the same lovely embroidered border fabric. I believe the embroidery on this is rayon, which gives it that lovely shine. 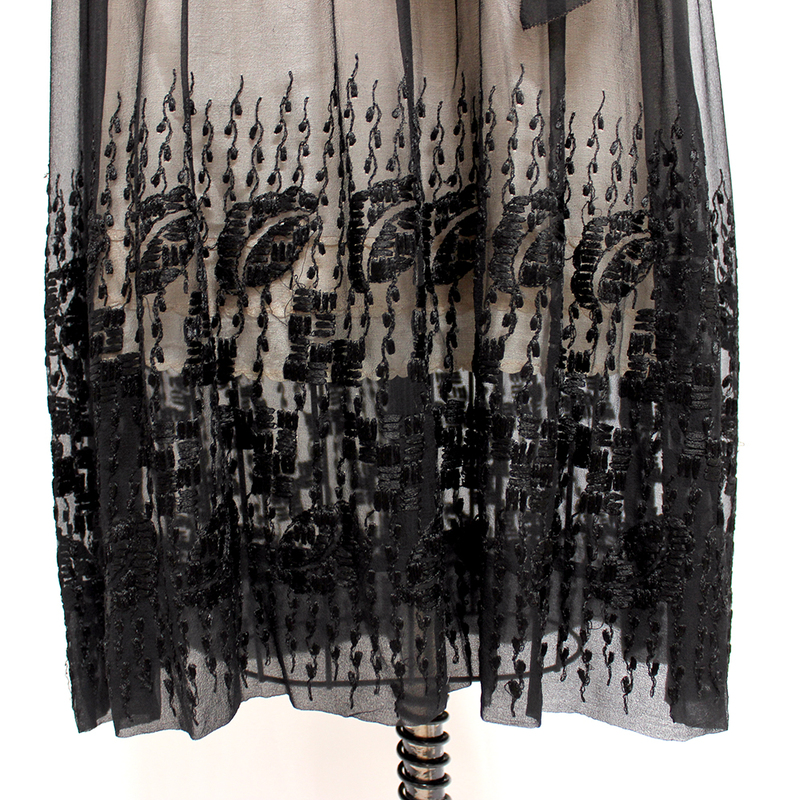 And, of course, that gorgeous capelet and those beautiful ruffles! So swoonworthy! For up close views and detailing please view my video. Apologies that the sound quality is sort of all over the place- still getting the hang of my new video camera I got for Christmas! But luckily what it lacks in sound equality it makes up for in close up shots! This camera can ZOOM! Adding here, since I know I will be asked, I’m sorry but I DO NOT have a pattern for a dress like this at present. But I may need to visit that in the future. In the meantime, if you want to give this beautiful dress a home I have it now listed for sale in my Etsy shop.